Sponsored by Research Autism, the two-year pilot study will establish a tailored mentoring scheme, designed with input from people on the autism spectrum and their carers, and evaluate its effectiveness in improving the mental health and wellbeing of a group aged 18-24. The research is being carried out by a team in LSBU's School of Law and Social Science. Researcher Damian Milton – who was himself diagnosed with Asperger syndrome in 2009 at the age of thirty-six – said: "There is evidence that existing models of support for adults on the autism spectrum are not helpful, and that one to one, goal-oriented support - akin to life coaching – will bring more benefit to the participants. "Because the mentees and mentors will collaboratively come up with the goals they hope to achieve as part of the project we hope to see a real sense of collaboration." "If the outcomes of the project are positive, the aim is to use the findings to stimulate investment in further more in-depth research and development. 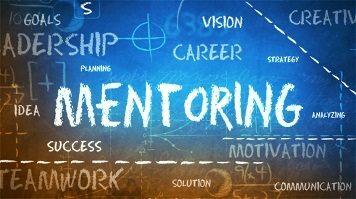 Mentoring will consist of weekly one-hour sessions covering goals such as access to work, learning or more general life skills. Experiences of all participants and mentors will be logged and monitored throughout a six month period before in-depth analysis takes place.